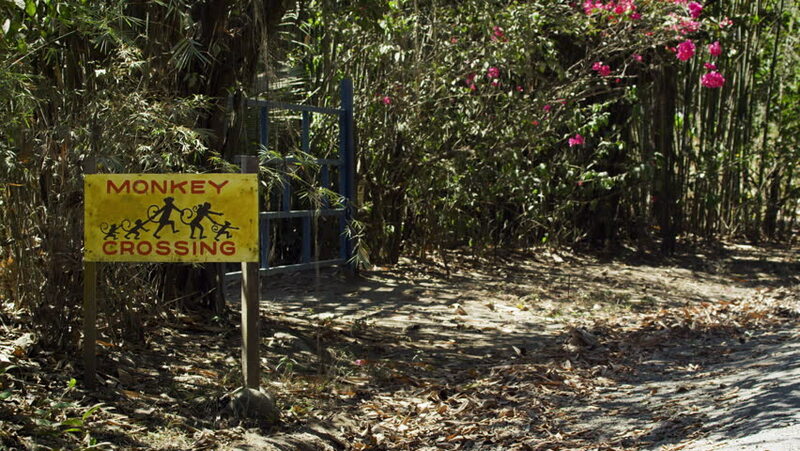 An interesting cinematic locked down shot of a humorous monkey crossing street sign in Costa Rica. Shot in 5K. 4k00:16An interesting cinematic locked down shot of a humorous monkey crossing street sign in Costa Rica. Shot in 5K. 4k00:21Skull and crossbones symbol warns tourists of a restricted area with dangerous. slippery rocks near a waterfall.